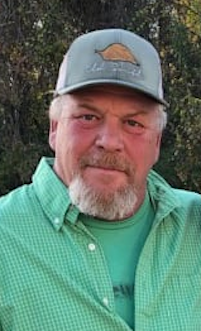 Mr. Chris Martin, age 47, husband of Mrs. Fran Cooke Martin passed away April 3, 2019. Mr. Martin was born March 9, 1972 a son of Mrs. Addie Evelyn Rabon Martin and the late Willie Malcolm Martin. He was also predeceased by his father in law, James Ben “Pop” Cooke. Chris loved being in the outdoors, hunting, fishing, and enjoying his many dogs. In addition to his wife of the home, Chris is survived by one son; Chase Nicholas Martin, one brother; Willie Joe Martin (Cynthia), his mother in law; Carol Chestnut, a brother and sister in law; Michael and Traci Rabon, one niece; Bridgit Rabon, one nephew; Benjamin Rabon, and many special friends and extended family. Visitation will be held Friday April 5, 2019 at Johnson Funeral Home of Aynor from 5:00-7:00 PM. Funeral services will be held 2:00 PM Saturday, April 6, 2019 at Johnson Funeral Home Chapel with the Rev. Lindsey Brown officiating. Burial will follow at the Pisgah United Methodist Church Cemetery.